We have a fleet of flatbed trailers. These trailers also come with the option of a Moffett. This means that if we have a delivery to be made to a location with no forklift we can use our own. These trailers can carry a large range of items. Our flat trailer is also fitted with twist locks which means that they can carry containers similar to sliding skelly trailers. Flat trailers are designed to be flush which means that they can be loaded on to with a good deal of ease. Because the trailer is entirely flat, pallets can be loaded efficiently by forklift. As well as allowing for the rapid and convenient loading of goods, especially in yards which are not purpose built for large consignments, flatbed trailers are just as easy to unload once they reach their delivery destination. These modern trailers are often used to transport heavy loads for our customers. Although loads can, of course, be covered to protect them from the elements, they are the preferred option for the delivery of robust goods, like construction products and machinery which can exposed to the elements. They are also a good choice for abnormally sized loads which might need more room than would be available on a closed trailer. 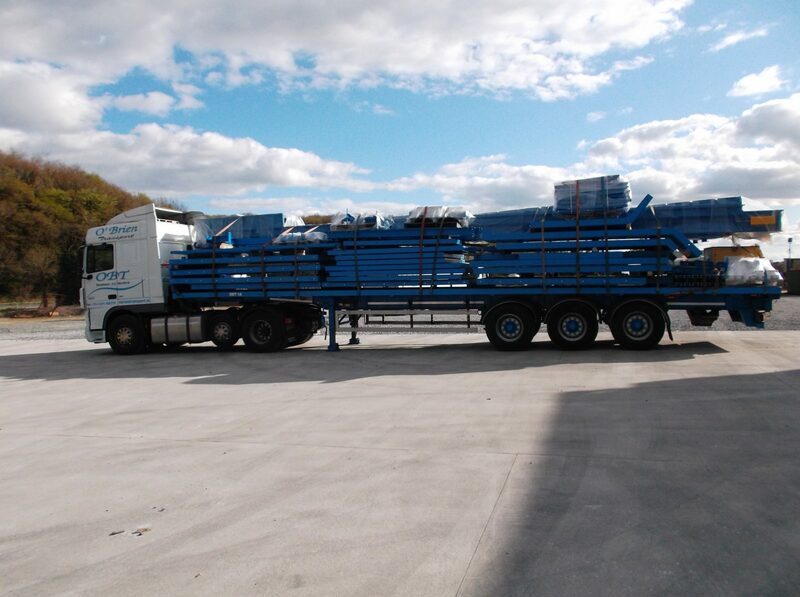 All our flatbed trailers are 13.6m long and capable of carrying loads up to 3m high, leaving us capable to provide equipment capable of transporting a wide variety of goods. A number of our trailers are fitted with Moffett forklifts which does not reduce the load length. All goods are secured with straps, chains (where necessary) and covers.